Lisa graduated from the University of Sheffield in 2001 with an MA in journalism and has been a reporter ever since. She specialised in crime reporting and real life features and worked as a columnist before running the news desk and then becoming deputy editor of the Wakefield Express. 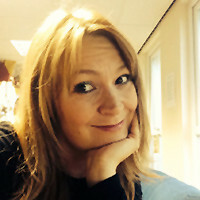 From 2012 to 2015 Lisa was course leader for postgraduate and undergraduate journalism at Leeds Trinity University as well freelancing for national newspapers and women’s magazines. She rejoined the Department of Journalism Studies in September 2015. Lisa is also a examiner for the National Council of Training for Journalists (NCTJ) and a Fellow of the Higher Education Academy. Visit Lisa’s University of Sheffield staff page.